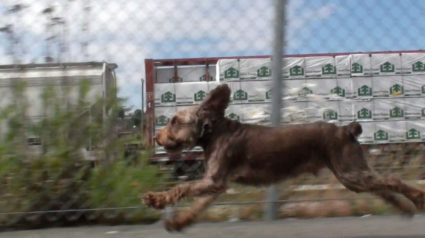 In Bikeride, the canine point of view is presented in relation to the urban landscape of Vancouver. Bikeride is informed by the everyday activities with dogs, Tom and Sugi. 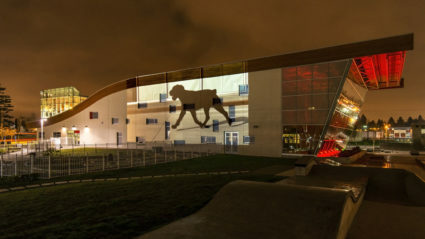 The project details the canines’ actions in relation to urban geography as they run through the city beside the artist riding her bike. Bikeride emphasizes the dog as an urban animal in landscape continuously in flux. The soundtrack is composed from sounds of the city and dogs recorded during the rides.